Our most competitive event and a huge hit! Get your legs spinning and your heart racing and see if you can make it to the top of the leader board. Using track bikes, head to head races are set up on static bikes over a simulated distance of 200 metres. 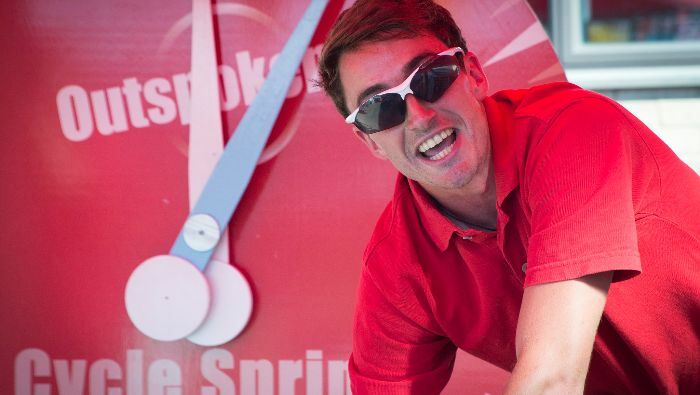 A large dial tells the crowds who’s winning with screams of encouragement to add to the atmosphere. 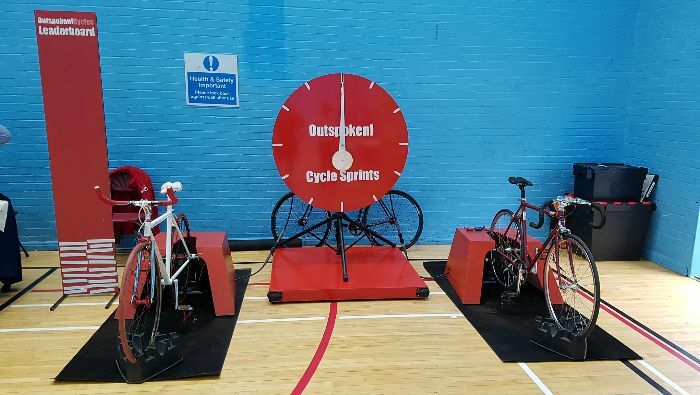 Cycle Sprints are perfect for Team Building Days – and the most fun you’ll have at a staff party!!! For more photos of our Cycle Sprints head over to our Flickr page, or see our short film below! Cycle Sprints with Outspoken Cycles from Outspoken on Vimeo.